FEC Skyline Pte. 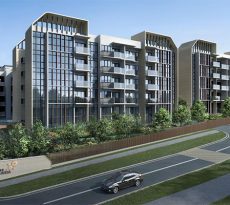 Ltd. brings forth a showpiece set in the city fringes of Alexandra View. Called Artra, it will be the only mixed-use development in District 3’s Alexandra neighborhood. 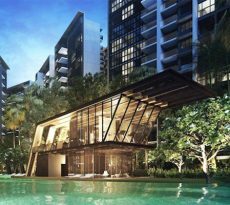 This luxurious, new project will be comprised of two residential towers perched atop a commercial podium, just behind the Redhill MRT Station. To be all done up in modern sophistication, Artra will boast of impressive architectural forms by JGP Architecture. The 99-year leasehold is slated for completion in November 2021. 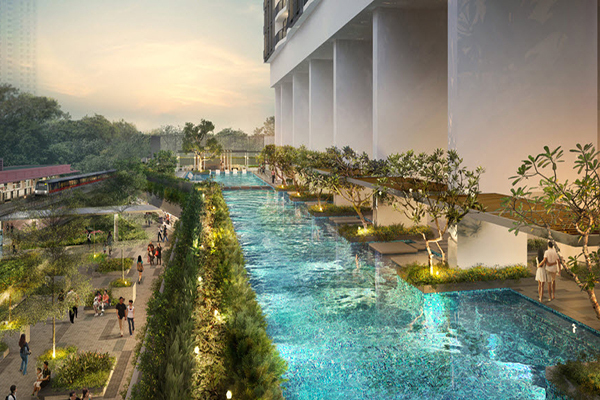 To make your living situation even more desirable, the development will be seamlessly connected to the Redhill MRT Station (East-West 18) through an air-conditioned walkway. Just a few stops westward is Outram Park (East-West 16 / North-East 3), and two more down is Raffles Place Interchange (East-West 14 / North-South 26). Meanwhile, eastward from Redhill is the Buona Vista Station (East-West 21 / Circle 22). Alexandra View leads toward Alexandra Road, which meets with Tanglin Road. 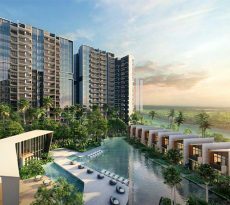 Residents will also have easy access to quite a number of avenues and expressways, including Queensway, Jalan Bukit Merah, CTE and AYE. Artra’s assemblage of life spaces are expressly fashioned to complement even the classiest, smartest home-hunters. Offering 400 units in all, a variety of options will be distributed through 43 floors of two residential blocks. Furthermore, the entire ground floor will be allotted for a high-end shopping centre. Fifteen commercial units will be populated by retail shops and / or food-and-beverage outlets. There will also be a supermarket spanning 10,000 square feet, where residents can easily shop as it will be just an elevator ride from home. Artra ups the suburban lifestyle even further, simply by being in a location that is so rich in leisure options and everyday essentials. Markets and Supermarkets: Giant Express – Redhill Close, Giant – Jalan Memblina, NTUC FairPrice – Dawson Place, NTUC FairPrice – Lengkok Bahru, NTUC FairPrice – Bukit Merah Central, FairPrice Express – Jervois Road, Redhill Market and Food Centre, Cold Storage Alexandra. Shopping Malls: Tiong Bahru Plaza, Anchorpoint Shopping Centre, Great World City, Alexandra Central, Valley Point, Dawson Place, IKEA Alexandra. Food Centres and Dining Hubs: Redhill Market & Food Centre, Block 79 Hawker Centre, Tiong Bahru Market & Food Centre, ABC Brickworks Market & Food Centre, Dempsey Hill, Bukit Merah Central. Parks and Gardens: Singapore Botanic Gardens, Alexandra Canal Linear Park, Telok Blangah Hill, Hort Park, Southern Ridges, Kent Ridge Park, Mount Faber Park, Bukit Purmei Hillock Park. Other Recreational Spaces: Delta Sports Complex, Delta Hockey Field, Tiong Bahru Playground, Queenstowm Sports Complex, Queenstown Active SG Stadium. Schools: CHIJ St. Theresa’s Convent, Crescent Girls’ School, Queenstown Secondary School, Bukit Merah Secondary School, Alexandra Primary School Blangah Rise Primary School, Gang Eng Seng School, International School Singapore, Global Indian International School. A superior choice to be your future home, Artra offers a variety of units to meet the needs of every kind of family. It will also provide an array of pleasures to enrich your free time, including a commercial podium on the ground floor. Its winning location is just a stone’s throw from the Redhill Station, placing you where everything you need is within easy reach. In such an amazing address, your lifestyle is sure to be the envy of many. Artra is such a great investment that you may even want to buy a unit or two for renting out. You can gain a generous income from this, and you’ll have no problem finding interested renters given the ideal location and the many lifestyle offerings. Get started on your better, brighter future: Connect with iCompareLoan mortgage broker today so you can compare home loan Singapore the easy way.